Did you know that nearly one-third of new car shoppers opt to lease? We’ll compare buying and leasing to show you the pros and cons of each decision. If you choose to lease a new car, you will make monthly lease payments until your lease contract is over (36 months is common). Lease payments tend to be lower than a monthly loan payment would be with the same vehicle. Because of this, many shoppers are able to afford a nicer car with a lease than they could with a loan. Leasing also usually requires little to no money down, so if you don’t have a lot saved for a down payment, leasing can be a good choice. One downside to leasing, however, is that lease contracts include mileage limits. If you exceed that limit, you will have to pay a fee for each mile that you go over. The majority of car buyers choose to take out a loan to pay for their new car. Just like a lease, you will make monthly payments until the loan balance is paid in full. When the loan is paid off, the car belongs to you outright. You will also need a down payment, typically between 10-20% of the total car price. Buying a car also gives you the freedom to drive as much as you want and make any modifications to the car. However, as your car ages, you will have to pay for any needed maintenance that is outside your car’s warranty. 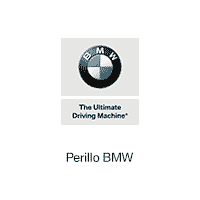 Stop by Perillo BMW, and we’ll help you decide if buying new or leasing is the best option for you. Take a look at our current lease specials for models like the BMW 3 Series, as well as our great new vehicle pricing today.